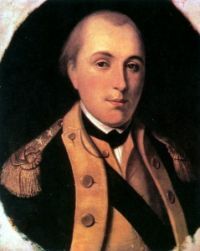 I don’t think Lafayette ever visited his Upstate NY namesake town, but Fayetteville is historical in its own way. 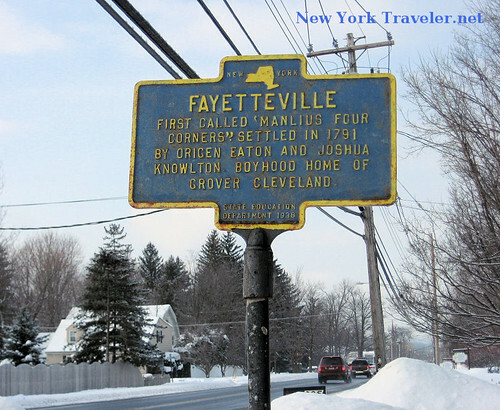 Fayetteville was first settled in 1792, (originally known as Manlius Four Corners). It was incorporated as a village in 1844, and renamed in honor of Marquis de Lafayette. Fayetteville was along the path of the Erie Canal, which brought incredible prosperity to all Upstate cities along the towpaths. Fayetteville also sits on precious limestone deposits from which cropped up mills and mines. Today, Fayetteville is a goldmine of prosperous and educated people, boasting a median household income of $50,598 and the median family income reportedly at $66,201, with only 1% of its population below the poverty level. It sits in a convenient spot, so close to one of Upstate’s largest cities (Syracuse) with nearly a dozen colleges and universities within commuting distance. 81% of Fayetteville residents 25 and older have college degrees. 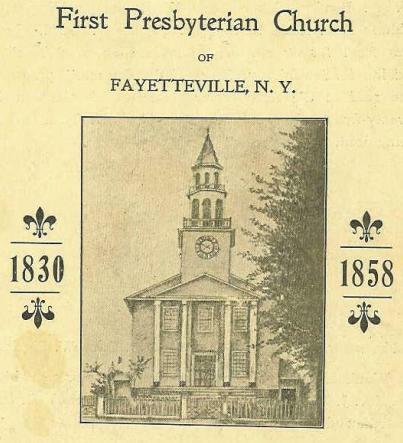 This is a snapshot of Fayetteville’s Presbyterian Church on Route 5, built in 1859. 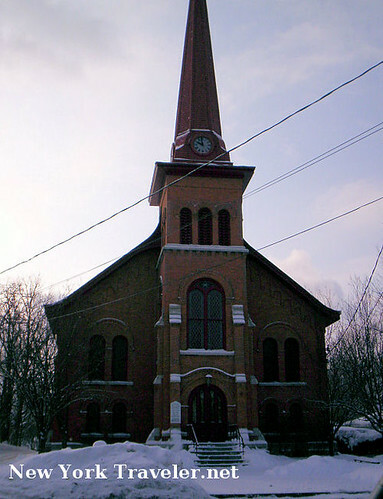 It merged with Baptist congregation in 1933 and is known as the United Church. 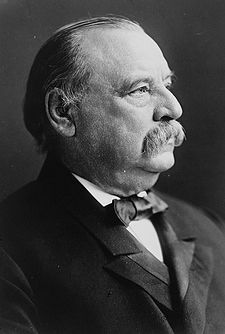 Fayetteville was the boyhood home of President Grover Cleveland. His father, Reverend Richard Falley Cleveland, was pastor of the Presbyterian Church when Grover was four years old. The Clevelands lived there until they moved to Clinton, NY, in 1850, when Grover was about 13 years old. The Fayetteville Library website at fayettevillefreelibrary.org has an excellent page about Grover Cleveland, including photos of his boyhood possessions. It was difficult to tell exactly which house was the Cleveland’s. The traffic was heavy and big snowbanks on the sides of the streets didn’t leave me much time for investigation. I snapped a photo of this house, the one that held the historical marker. Was this the Cleveland home? 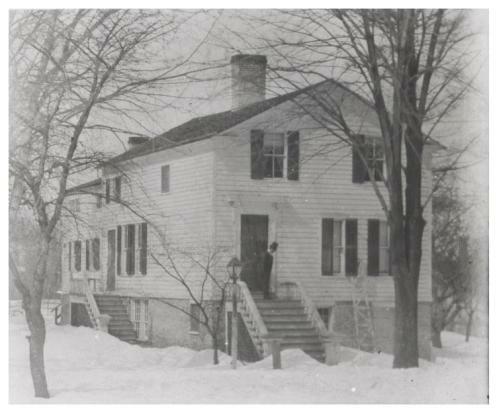 Update: No, upon investigation, I see that the Cleveland home is on Academy Street and looked like this in 1899. 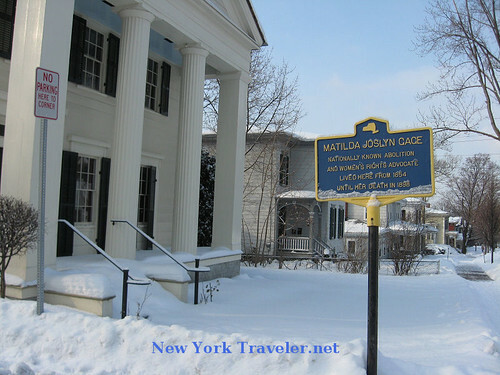 Fayetteville was also the home of Matilda Joslyn Gage, an active abolitionist and womens’ rights advocate. Some of the older photos are courtesy of the Fayetteville Library webpage. Go Upstate! 😀 WNY native 😀 (still resident :-)). Having lived many years in Fayetteville, Lyndon, and DeWitt, I very much enjoyed seeing these photos. Thank you. Interesting post. Lafayette visited Utica and paid a call on President Adam’s niece, ?? Johnson, who lived on Genesee Street (until till the mansion was torn down in the late 1800s)where the “Gold Dome Bank is now located. 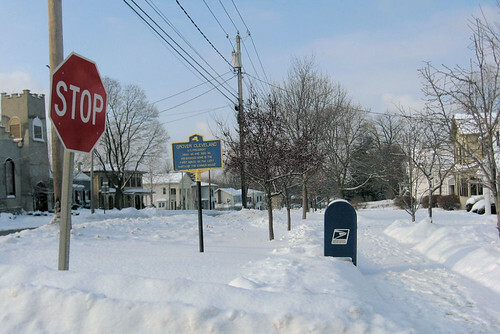 Obviously you have discovered the vast amount of national history located in central New York. 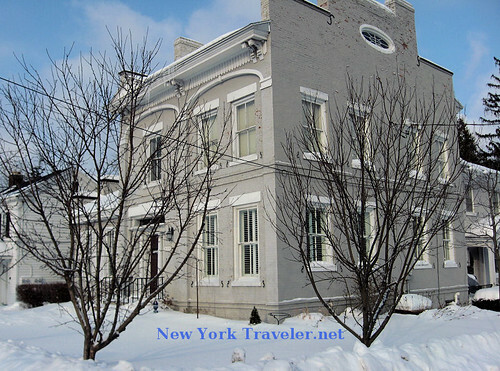 Utica boasts as being the home of a former Vice President of the USA, and a presidential candidate of the USA. It is also the home of a Governor. Thanks for the mini history lesson. The gray Federal house above with the historical marker would be the Dr. Curtis Hurd house c.1830. It is part of the Genesee Street Hill-Limestone Plaza Historic District which was listed on the National Register in 1982. At first I thought it was the Palmer house farther west at 7189 E. Genesee as they are very similar.